MST subsidiaries, Mobile Schools Health and Mobile Health Clinics, specialise in the design, manufacture, management, and operation of mobile health clinics. Mobile healthcare is an integral part of modern day healthcare systems, but the actual impact of these clinics on school learners and participants are often underestimated, not to mention the indirect, sometimes unforeseen impact on communities that live out of reach. Mobile clinics can come in many shapes and sizes but most of them try to provide basic preventative medical services such as immunisations, dentistry, optometry care, audiology, health education and general check-ups. Without these mobile outreach programmes, some remote communities may not have care at all. Many learners, such as Mabankwe Benedict from Sentlhaga Primary, have never been taken to a doctor by either of their parents. For these learners, the mobile medical clinics from Mobile Schools Health are the first time in their lives that they get the opportunity to get medically screened. Betty Deyl, a patient from KwaZulu-Natal, doesn’t have money to visit far-away clinics and therefore she “likes the bus clinic.” The same goes for so many patients who live far from clinics. Apart from the fact that mobile clinics are vital in overcoming inaccessibility of medical services, there are many other indirect advantages and positive impacts on the communities served by these clinics. Research has shown that mobile clinics fosters a trust relationship between patients and medical staff, due to the more informal atmosphere. This is important since many of the patients in these communities go for their first medical check-ups, and may have a sense of fear. The interior of these units are designed to foster a more informal atmosphere, which makes patients feel at ease. The informal atmosphere is less intimidating for patients, which in turn allows them to be more prone to seek medical services in the future. The interventions help boost learners’ confidence, which result in them feeling healthier and ultimately improves their attitude towards learning or working. Even if patients cannot be treated immediately and are referred to a clinic, they still foster a positive attitude towards the medical services offered and feel like they are being cared for. 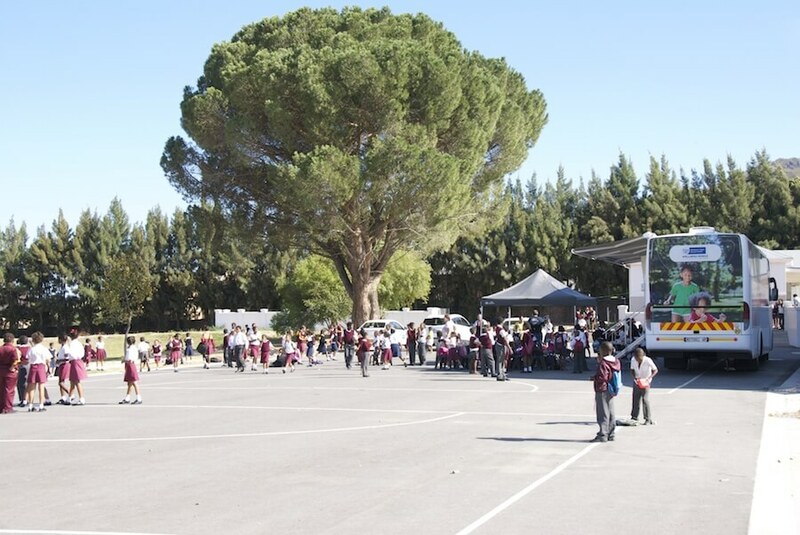 The mobile clinics promotes social cohesion due to the fact that the clinic is parked in the heart of the community. These clinics attracts attention and curiosity, and is an excellent opportunity to educate, inform and promote a general sense of well-being. Healthy citizens are a vital and unavoidable component in nation building. Deploying mobile clinics create an opportunity to gather patient data in remote areas, which allows for better research and understanding of the needs in these previously inaccessible communities. This is also a chance for medical practitioners to test the waters before spending millions on fixed infrastructures and medical equipment. It is not only vital to understand the impact of mobile clinics on the communities they serve, but also the emotional need that there is for these mobile facilities when working towards wellness goals. It is evident that mobile clinics play a big role in bringing people together, and being part of the ‘pulse’ of the community.